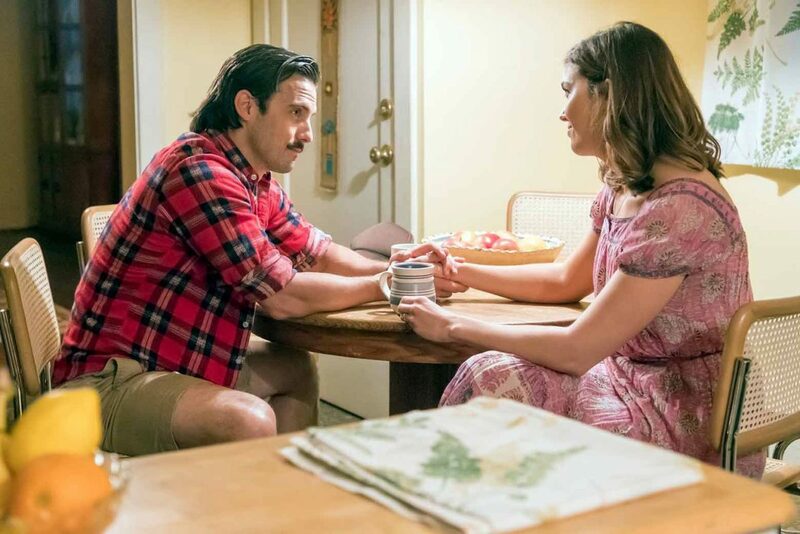 If a non This Is Us watcher were to ask why Tuesday nights on NBC have become prioritized, scheduled events, Pearson Family enthusiasts would know and attempt to explain the rarity found in a current fictional show that so perfectly tells us one thing: we’re not alone. This Is Us doesn’t isolate us from stars or lead us into fantasy land, it throws us into real life with no issue untouched. We personally, or someone we know closely is having/had/dealing with marital issues, addiction (to pain killers, alcohol, food, work, etc. ), recovery or sobriety, adoption, foster care, given up a child, lost a child, cancer, divorce, parenting, dreams that never came to be, body image shame, un-grieved loss, loneliness within a family, or loss of a parent or spouse—even one who seemed invincible. As the tears break past our lids every week, I wonder, could some of the emotions be more than a mere show can provoke? When you find yourself emotional during specific scenes, ask yourself, does it go deeper than the show? Is there something in you that can’t joke about feeling “all the feels?” Maybe there’s nothing more to it than the fact that we’re emotional, connected humans who love a good tear-jerker. However, we’d be overlooking something very important—our own hearts—if we assumed that in a show with so many close-to-home issues, we aren’t feeling something deeper… Real feelings, and it matters what we do with them. Any time a character who rarely shows emotion starts to soften up, I’m teary (the Duke in The Crown, Nathan Scott in One Tree Hill, and of course Kevin at Jack’s tree this week). But as Randall, gecko in hand at a puppy bowl party for little girls, feels the weight of exactly what unexpected loss feels like, I get it deeper. For me, when Rebecca (Mandy Moore) looks at her son, Randall, as her first grandchild has just arrived and says, “That was one of the happiest moments of my life…but also your dad isn’t here. That’s just something I’m going to have to deal with for the rest of my life. The happiest moments will also be a little sad.” My sobbing is not for Jack Pearson; it’s for Joe Tardonia, my dad who will not be there when my children are born. When this happens, I have to do something other than post on social media #thisisus #sobbing #reallife. I have to do real work on my heart through this sometimes weird grieving process by admitting that seemingly little things in life (even TV shows) get to me, and I have to reach out to someone else—whether that means allowing my husband to hold me or texting a friend. So, when This Is Us (or life in general) strikes a chord and you just can’t shake it, listen. Maybe it’s an old memory or a loss, text or call someone you trust and tell the truth about how you feel. Do your best to put aside your attempts to find the “right words” and don’t apologize for the way you’re feeling. I can speak from experience that every time I have opened up to share with women that I trust, even when I have felt my words made no sense at all, I have felt the fullness and deepening of friendship. When I have had a rough day at work, or when I’ve simply watched This Is Us, I find it so much more refreshing to share that I am lonely, sad, or angry than that I am simply busy or just swept up in a good show. I believe that strong women and those who want to be don’t see their feelings as weaknesses or things to laugh off, but as strengths that can be used to deepen the relationships with themselves and others. We’d be overlooking something very important—our own hearts—if we assumed that in a show with so many close-to-home issues, we aren’t feeling something deeper… Real feelings. Wasn’t expecting this from an article about your fave TV show, but are intrigued by learning more? The Voice of the Heart is a great place to start. There are videos and workbooks as supplemental resources available as well. I would recommend doing these with a trustworthy friend or mentor so that you can process through what you learn. So go ahead, my friend, feel all the feels—but don’t turn them off along with the TV.